A second US Republican senator has openly criticised Donald Trump accusing the president of debasing US politics and the country’s standing abroad. Jeff Flake from Arizona has announced he will not stand for re-election next year in protest at Trump’s tendency to scapegoat and belittle people using social media. 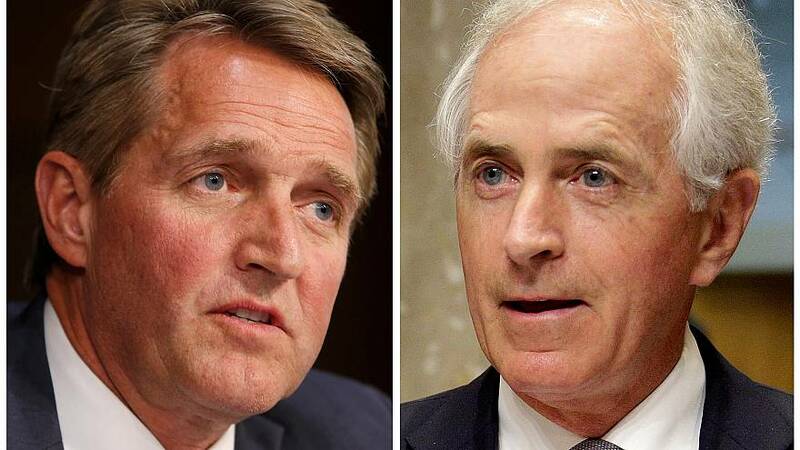 Flake’s attack follows that of Tennessee Senator Bob Corker who became the focus of news when he lashed out at Trump saying the President has “great difficulty with the truth”. Corker too has decided to quit. Sen. Corker is the incompetent head of the Foreign Relations Committee, & look how poorly the U.S. has done. He doesn’t have a clue as….. While playing down the feud it has overshadowed Trump’s efforts to build support for his propsed tax reforms. Isn’t it sad that lightweight Senator Bob Corker, who couldn’t get re-elected in the Great State of Tennessee, will now fight Tax Cuts plus!